and sees Suncorp transition to one operating model to give customers a single digital customer experience and removes distinctions between its various brands. The strategy has been likened to an iTunes store of financial services – a one-stop shop where customers can use an app to do things like check personal finances. Since its announcement, it's been widely criticised by analysts. Suncorp confirmed the move to AdNews thanking DDB for their "continued passion and support over many years". "Suncorp’s national masterbrand strategy brings together the group’s network of brands to support customers’ financial needs," a Suncorp spokesperson says. "To deliver on this strategy, Suncorp has reviewed and consolidated its creative agency roster, and will no longer be working with DDB Melbourne." Starcom remains as the brand's media agency following a review. Suncorp and DDB Melbourne have ended their relationship following an internal shake-up that sees its new banking structure conflict with major DDB client Westpac. Suncorp’s new consolidated strategy, which sees AAMI, Bingle, GIO and Australian Pensioners Insurance Agency (APIA) Insurance move under the one Suncorp umbrella, impacts APIA's long-term relationship with DDB Melbourne. 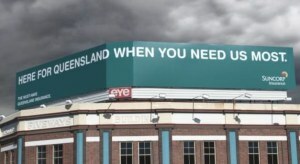 Publicis Brisbane continues to lead Suncorp with Ogilvy Melbourne and Leo Burnett continue work on AAMI and GIO respectively. Bingle, who used to work with The Monkeys, is without a creative agency and APIA is currently seeking a new agency arrangement. DDB national CEO Andrew Little said: "DDB Melbourne has enjoyed many years of partnership with firstly Promina and more recently Suncorp. With Suncorp’s new consolidated strategy our banking relationship with Westpac is now a conflict. We wish Suncorp all the best and thank them for many years of partnership." 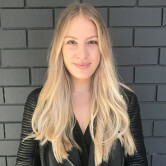 The move comes just three months after Mim Haysom joined Suncorp as GM of brand and marketing from M&C Saatchi where she was general manager for four years. Suncorp's financial marketplace strategy was announced by CEO Michael Cameron in late 2017 and sees Suncorp transition to one operating model to give customers a single digital customer experience and removes distinctions between its various brands.